Clean water gives me and my family a clean bill of health. Same for every other member of the self-help group. 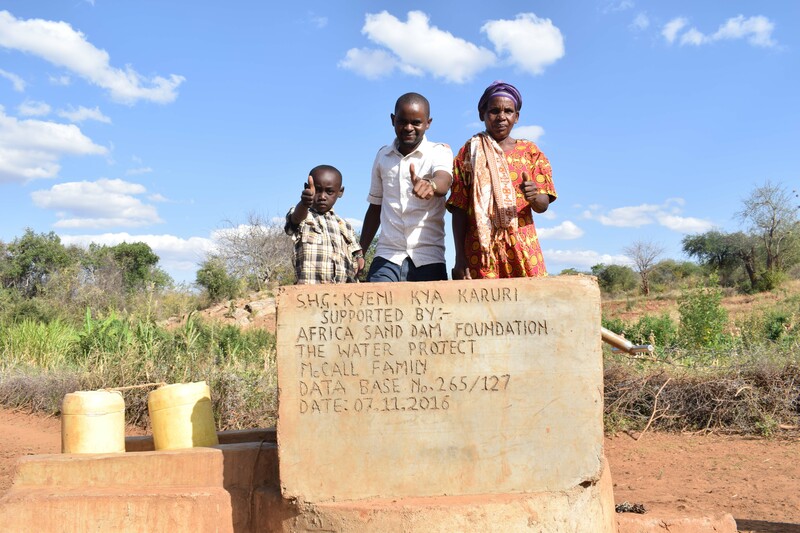 A year ago, generous donors helped build a hand-dug well for the Kyeni kya Karuli Self-Help Group in Kenya. Because of these gifts and our monthly donors, partners are able to visit project sites throughout the year, strengthening relationships with communities and evaluating the actual water project. These consistent visits allow us to learn vital lessons and hear amazing stories – we’re excited to share this one from our partners Titus Mbithi and Joseph Kioko with you. Students had to skip school because they were spending so much time in search of water. But now, a well and sand dam system have brought water close to home. 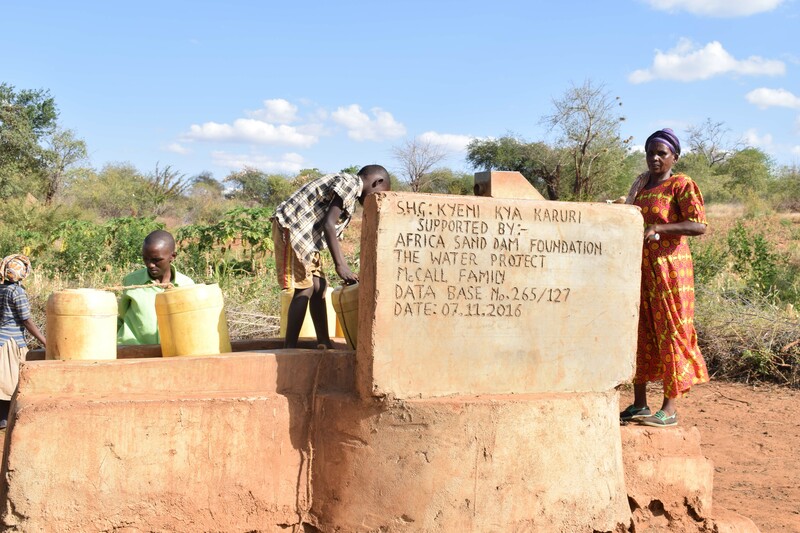 And thanks to the surplus of water the sand dam provides, this hand-dug well is able to pump clean, safe water from the catchment area. Moses fetching clean water from the well. Vundi, Field Officer Titus, and Naomi posing at the well. Thumbs up! Naomi Mwenda added that she used to have to walk six kilometers to River Tyaa to find water. “Clean water gives me and my family a clean bill of health. Same for every other member of the self-help group,” Naomi said. 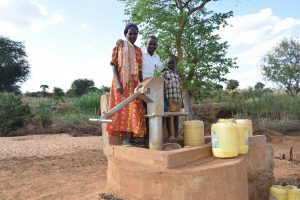 The hand-dug well has brought so much clean water close to home that there’s enough for all of the cattle, for farm irrigation, domestic use, cooking, and drinking. And now that there’s a significant water stored in the sand, grass has started growing along the riverbed. This provides a great grazing area for livestock. When you invest in The Water Project, you're investing in people like Naomi Mwenda. Your gifts help us reach more communities with the gift of clean, safe water. And every drop helps unlock potential.